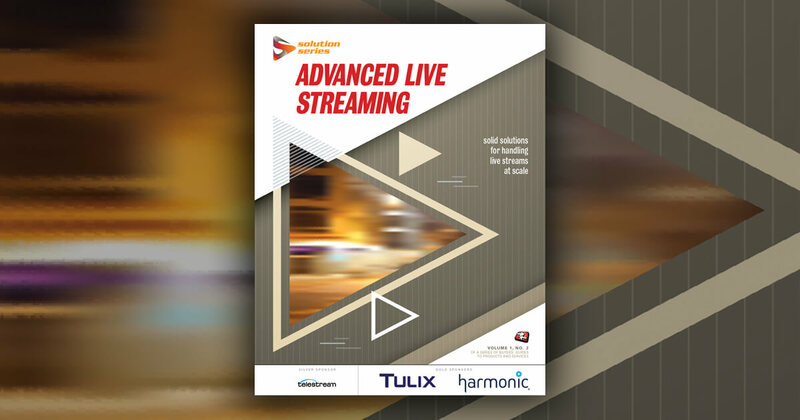 Learn more about mixed-reality streaming at Streaming Media's next event. Tim Siglin: Welcome back to Streaming Media West 2018 on the final day. I'm Tim Siglin, Contributing Editor for Streaming Media Magazine, and Founding Executive Director for the not-for-profit Help Me! Stream. Today I've got with me Mark Alamares from Mobeon. Mark, you and I have done a few of these interviews. What are the topics you're interested to talking about today? Mark Alamares: What I want to talk about it is how streaming is changing specifically where gaming, eSports, and other platforms, such as Twitch, are having an influence on how companies, both in enterprise and brands, are streaming. Especially nowadays, I'm finding that a lot of companies want much more interactivity, and we've realized that interactivity means more engagement. Some of that's spilling over into the business world, and we are now producing a lot more streams that have polling, voting, also having tickers that are displaying some of their social media feeds, and also where companies want to display some sentiment of specifically the viewers. Things are getting a lot more interactive, so to speak, and I think that is helping build a much more engaged audience where they want to become much more involved in the overall streaming experience. Tim Siglin: I did an interview with Tarek from Twitch yesterday, and we were talking about not just the interactive engagement but also rethinking where they'd been an H.264 AVC-centric solution, they're now adding VP9, and it's making them rethink the workflow completely from a transcoding standpoint, understanding that they have to keep the quality and the latency the same as they would have had with AVC. Otherwise, it'll feel like two tiers or two classes of service in that. Mark Alamares: Another issue with lower latency is that's also a new requirement. Again, that's been growing because now when you're interactive, you want to be able to discuss and have these interactions with the audiences in real time. One of the things that has helped that was the donning of HQ for the quiz app. Outside of that, it's allowing for people and companies to see the responses much more quickly. That is a much needed direction where streams are heading. Tim Siglin: The last time we talked, we also talked a little bit about AR, VR, transmedia storytelling. Where do you see that going? Have the trends continued the way you expected, or shifted slightly? Mark Alamares: I addressed this in my previous conversation where I said that the hype train for VR may be slowing. Mixed reality is seeing some traction. We just did an event where we integrated live virtual characters that were being interviewed by a real host and utilizing a unity game engine. Tim Siglin: There are avatars that interact directly with a live host. That's fascinating. Mark Alamares: Again, it was all done in real time. There were comments and questions being fielded online. I think there's quite a bit of room for growth in that field where, again, new technology can be implemented in finding new ways to experience and communicate with the audience. Tim Siglin: It probably beats the heck out of the canned responses that you would've had with animated before or heaven forbid, those crazy animatronics at Chuck E. Cheese that used to freak my kids out. Mark Alamares: We're getting to the point ... and again, I'm dating myself where, again, you had mentioned those canned responses but something where we had Max Headroom, which was at one time a cutting-edge real-time computer-generated virtual character. But now we're at the that time where it's real, and the future is now. We're living in a sci-fi world of mixed reality, and it's gonna be really interesting, specifically, in telling stories. Tim Siglin: That is fascinating. You could bring the stories to life in a way that you couldn't necessarily do even just a couple years ago. Mark Alamares: It's very exciting, and I think, again, there's a lot of growth potential. Once again, it's the gaming industry that's leading the charge with the higher-end graphics cards, with raytrace rendering. Again, that's just gonna pave the way for both virtual humans, as well as characters, in being integrated into live events and streaming. We're seeing a lot of that right now. Again, if you've seen the League of Legends, and any of the major eSports tournaments, they're putting a lot of AR and a lot of characters. Also, there's virtual bands that are being developed as well. Tim Siglin: That's fascinating. I guess one last question as we move into that future, where will we distinguish between streaming from a video standpoint and streaming from a media standpoint, meaning the avatars themselves may not even be generated in a studio and captured in a video format? They would be generated at the edges, at the clients' devices, with that interactivity as part of it. Mark Alamares: One thing that is actually growing, and it started in Japan, is something called the VTubers. They're virtual YouTubers, and they are using, sometimes, off-the-shelf software that does facial capture and animation. Again, original characters are created to represent the streamer who may not wanna be onscreen before the stream for fear of retribution or because they're shy. That has actually started a new cottage industry in Japan where these VTubers are generating a lot of ad revenues. Tim Siglin: Interesting, and are they creating their own characters, or are they licensing, branding characters, or how is that playing out? Mark Alamares: The amateur VTubers are creating their own characters, but then there are brands that are coming in and utilizing that space to promote specific characters they developed for animation or manga or video games. Tim Siglin: If you think about cartooning in the past, Mickey Mouse was a really simple version and then became more complex and more complex, like that. Then we went too far into the 3D versions, and we pulled back to the 2D versions. It would be fascinating if some of those amateur-created characters grow big enough to then be re-rendered into higher quality and/or turn into brands in and of themselves. Mark Alamares: That's already beginning to happen in Japan where they are also, those characters being displayed at convenience stores, also representing brands for various events or even major car companies. That's happening. Mark Alamares: It actually is happening, and the creators of these characters, are enjoying quite a bit of revenue streams from having so many viewers and followers. Mark Alamares: The followers are in the millions, specifically for certain characters. Tim Siglin: Wow. Well, always good to talk to you. Appreciate the insights, and we'll be back with a quick wrap-up right after our break.